Parents – what if I told you that you could find 20 minutes in your busy schedule each day to read the Bible? You would most likely say that you are too busy running around being a parent to have 20 minutes for “quiet time”. Whilst most parents of little kids find it hard to get quiet time, they need it to keep them sane. So what if there were 20 minutes within your parenting time where you could read the bible or any other spiritual reading? When I was a young parent I found it frustrating putting my boys to bed each night. It would take almost an hour as I put them in bed, they got out, I put them back etc etc. Then I learned a simple technique from the SuperNanny that involved sitting in the room whilst they were in bed without giving the child direct eye contact. Her suggestion was based on the thought that the child is seeking comfort and gets security from knowing their parent is in the room. 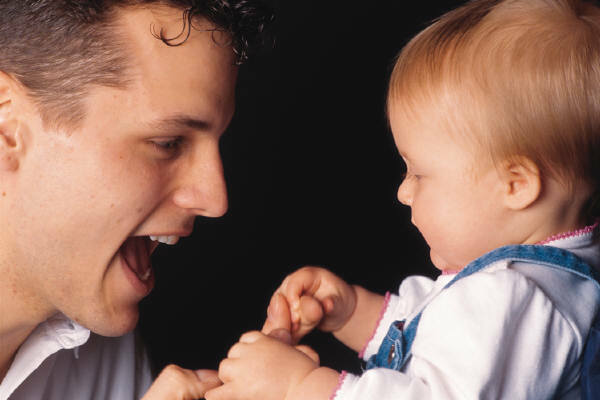 Once you establish that you are not there to interact with them in a playful way, the child will go to sleep. Whilst it doesn’t work perfectly I did get results from this technique. What I found was that my boys would stay in bed whilst I was in the room but get out if I left the room. If I stayed in the room for too long would get bored with not looking at them so I started reading a book to fill in time. After a few months I developed a pattern where I spent about 10 minutes putting them to bed then the next 20 minutes reading a book on the floor in the doorway. This is where you find your 20 minutes to read your bible, read some spiritual classics or any other material you want. In my case I worked my way through Visioneering by Andy Stanley. Some nights I found myself sitting in the room long after the boys were asleep as I wanted to finish the next chapter of a book. Spiritual reading – if you think about how much spiritual reading you can get through in just 20 minutes a night it is a lot. You will start to look forward to bed time each night because you get into the next chapter of your book. Sanity – instead of becoming frustrated with your children’s bed time, which every parent feels, you might have a way of bringing comfort to your child by being close to them while doing a little something to keep you in “adult land”.